Jim Jefferies doesn’t care what anyone thinks. Perhaps it's part of what makes the uncompromising Australian comic so appealing. 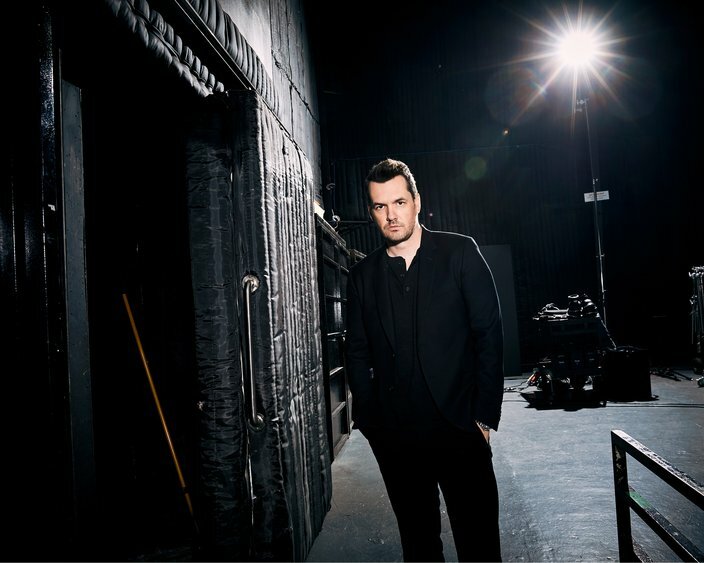 As the host of Comedy Central’s provocative “The Jim Jefferies Show,” the comic joked in unsparing fashion about politics, relationships and his personal life when he performed last night at the Borgata in Atlantic City. Jefferies, 40, spoke with PhillyVoice beforehand about how he is more American than most believe. He insists he would rather not constantly goof on President Donald Trump every night, and revealed what it’s like to perform at a private party thrown by Mariah Carey. Q: Why is that some pundits have issues with the amount of politically charged comedic news programs, but they have no problem with a myriad of news shows? A: It seems that five or 10 comedy shows, which are political, is the most you can have, but if another news network is added, that’s fine. What some people don’t understand is that what I do is different than what John Oliver does and what Samantha Bee does. The way I look at it, when you have the remote, it’s like when you’re entering a party and you decide who you want to hang out with. Do you want to have drinks with John, Samantha, me or someone else? Yes, we’re often talking about the same subject, but we’re different people who have different approaches. Q: The same subject is typically Donald Trump. How can you avoid talking about Trump considering his tweets, his press conferences and the way he carries himself? A: It’s funny, because conservatives believe that we’re Trump-bashing, and I find that remarkable. We try to avoid talking about Trump. It’s not like I walk into the writer’s room and say, "How about some more Trump material?" The reality is that the guy is in the news and he’s funny when he talks and he looks funny too. Some presidents are funny and Trump is hilarious. George [W.] Bush was funny and so was Bill Clinton. The whole thing with Monica Lewinsky was f***ing funny. Barack Obama wasn’t as easy to make fun of. But Trump is in a league of his own. How funny is it that he’s in Alabama telling all of these people what to do? How crazy is that he tells [Golden State Warriors star] Steph Curry that he is not allowed to visit the White House when Steph Curry has no intention of going there? You can’t ignore Trump. This era is like “The Twilight Zone.” Trump is not very Presidential. Q: How do you deal with Americans who believe you shouldn’t have any say about America since you’re Australian? A: I know I’m looked at as a foreigner, but the reality is that I’m more American than you think. I’ve been to every city in America since I’ve done gigs everywhere in America. I also have seen most of the world. My opinion is valid. Q: Like Sarah Silverman, some are offended by your material. A: People have come up to me and said "You told that misogynistic joke when I saw you in 2010." Yeah, sounds like me. Q: How cognizant are you of what John Oliver does on his HBO show? A: We come in to the office and say, "What did John do on Sunday?" It’s the nature of the business. We hope Samantha Bee goes into the office and says, "What did Jim Jefferies due on Tuesday?" Q: What’s one story you’ll tell Saturday? A: I’ll tell you what it’s like to perform at a private party at Mariah Carey’s house. Q: It must have been packed with celebrities? A: Yes, it was. Al Pacino and Warren Beatty were there watching me and they were just a few feet away. Q: Were you nervous performing in front of such iconic actors? 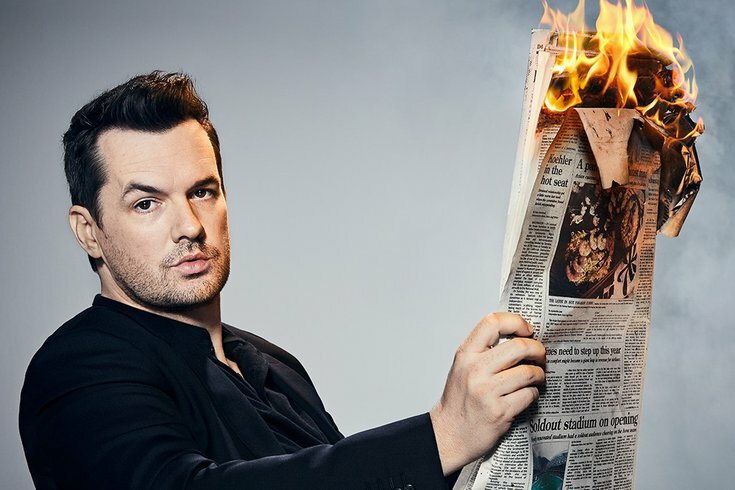 Catch The Jim Jefferies Show Tuesdays at 10:30 p.m. on Comedy Central.